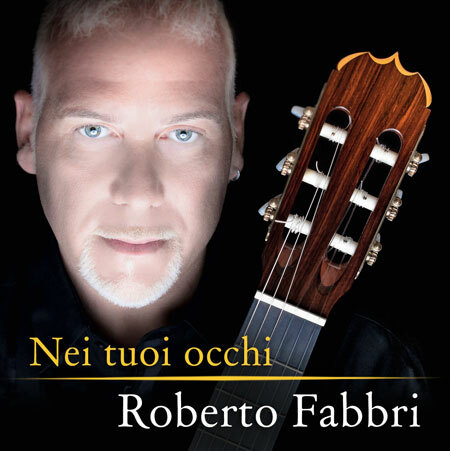 “Nei tuoi occhi”, the new album of guitarist/composer ROBERTO FABBRI will be available for sale in traditional stores, on iTunes and on the main digital stores. The artist has signed a contract with Sony Classical Italy. Preceded on air by the single “Rainbow song”, “Nei tuoi occhi” is a collection of 17 new compositions, each one telling a story, carrying an emotion, a place or an event with the aim of bringing classical guitar closer to the public and in the main concert events. The album includes “Fantasia sin palabras”, the composition commissioned to Roberto Fabbri by XXVI Festival Internacional Andrés Segovia 2012 in Madrid, where he performed on October 26th, in the occasion of the 25th anniversary of the passing of the greatest guitarist ever. 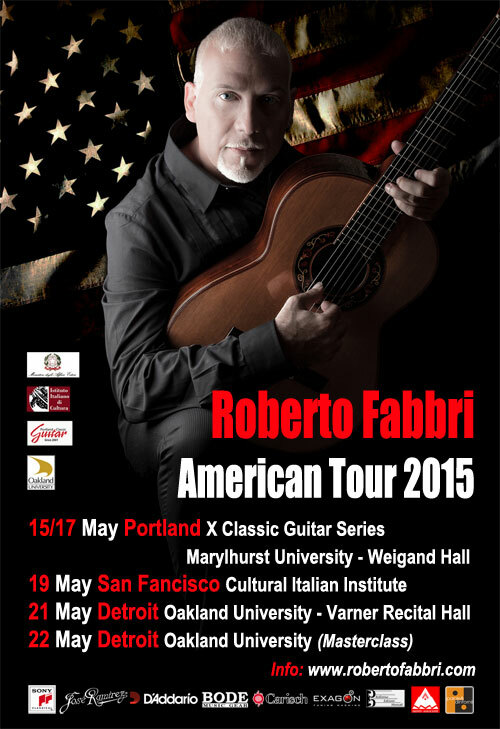 «After the first two albums “Beyond” and “No Words” in which the narration was mainly carried on by my guitar – Roberto Fabbri says – I wanted my new album to include not only solo pieces but also compositions for four guitars and for guitar and string quartet. I wanted a record in which I could create a dialogue with other musicians, a work featuring heterogeneous and enthralling sonorities». “Nei tuoi occhi” is a guitar which, in solo or in ensemble, describes itself and basically tells “stories” in music. Landscapes of the spirit, in notes. Fabbri has recorded some brilliant material: his melodies stand out for the spontaneity of the themes, bright and sparkling when the music becomes radiant, and sweetly shaded when exploring the shadows. Fabbri does not recur to harmonic complexity to tell about himself; he is among the fewest who can “summarize himself” with unexpected simplicity to the listener. Unexpected because, due to his sensibility and exquisite composition technique, he never falls into the obvious. Thus the “pleasant surprise” is the most refined musical stylistic hallmark of this album, addressed to a vast audience, which will also be appreciated for the return of the romantic instrument par excellence, the classical guitar. Have a look to the TRACKLIST!